USA Hockey. Our national level governing body's web site. Minnesota Hockey. Our state governing body's website. District 1/formerly TC District. 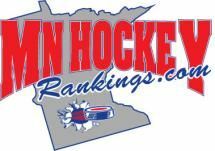 This website serves the Mpls-St.Paul Hockey Community. Irondale High School Webpage. Irondale's home page in Mounds View School district. Irondale Knights Boys High School Hockey. Find game recaps, varsity and JV schedules and the latest news. Irondale Knights Girls High School Hockey. See the schedule, team, and information about our high school Girl's Hockey Program. Hockey Ranking System based on goal differential and strength of competition. A team must play 5 games before they are ranked. 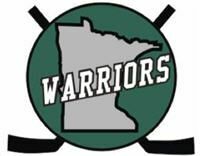 The Minnesota Warriors Hockey Team has been organized for military personnel wounded in defense of the United States to play hockey. Rinkfinder. Need directions to the rink? Concerned about the Weather? Whether it's a practice, game or tournament we can help get you there safely and on time!! Saint Anthony Village High School. Our high school and youth hockey partner! Irondale welcomes St. Anthony Village players and families!